Insomnia is irritating and it kind of makes you groggy! If you have trouble sleeping, here are some tips to prevent insomnia and have a sound, deep sleep! Exercise – To have a great sleep, sweat it out! Hit the gym in the morning or go for a jog in the evening, so that your body gets tired and you go to sleep immediately! The best recommended time to exercise is 4-5 hours before sleep. Remember not to work out too much during this hour, but opt for cycling, brisk walking or even basic yoga asanas, as they can help you have a sound sleep at night. Avoid coffee and nicotine – Refrain from caffeine and nicotine, especially during bedtime, as they can block certain sleep-inducing chemicals, and can make you awake all night! Also, if you are an avid smoker, try not to smoke during bedtime, as it can affect your sleeping pattern. Check your medications – Your medicines might be the culprit behind your sleep! Thyroid medication, antidepressants and other drugs can interfere with your sleep. Check with your doctor before you start any new medicine as they can have an impact on your sleeping cycle. Maintain a healthy weight – Your sleep-related hormone levels get disturbed if you are overweight, and you can develop major sleep-related issues due to that. Manage stress – Stress can be a major reason for insomnia, find ways to manage your stress, so that you can enjoy a peaceful sleep. You can either join a yoga class or do meditation on your own to relax your mind. Don’t let stress keep you up at nights! 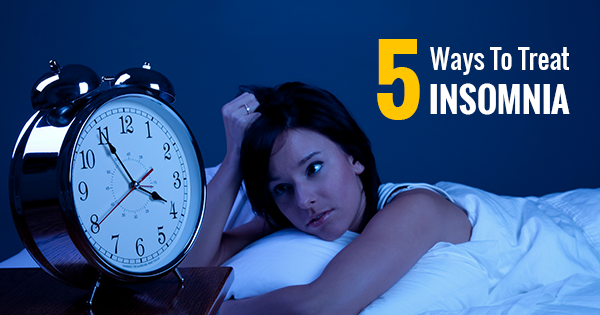 Insomnia can take a major toll on your health, so don’t take it lightly! Consult a doctor if the problem still persists, as there could be other numerous reasons behind your sleepless nights! Take care and sleep well! Posted on September 29, 2017 Categories General HealthTags Health, Health Tips, healthcare, Insomnia, sleepingLeave a comment on Suffering from Insomnia? Here are 5 ways to treat it!